One of the greatest things that’s happened to my tone are the cables from Evidence Audio. I always thought that my sound was pretty good and I had no idea that the cables I used was actually doing more harm than good. I’ve used all sorts of stuff, like Planet Waves, Monster and George L’s, but none of them come even close to cables from Evidence Audio. About a year ago I got a Lyric and a Lyric HG. I was excited since David was seen using these on the Live 8 performance and the moment I plugged in, I understood why. It was like getting a stompbox made for removing all dullness in your tone (which would be pretty cool in it self!). I had never heard my guitar so clear or with such rich dynamics and I though “so this is how my guitar and amp really sounds like… Wow!”. Then I recieved a Siren speakercable and it totally blew my mind! I didn’t think I would notice a dramatic improovement, since the Lyrics had already done wonders, but I was wrong. Using the Siren between the amp head and cabinet is like removing a thick blanket from the amp! Which cables I recommend is one of the most frequent questions I get, so I thought I’d do a proper presentation. It is important for me to say that I promote these cables based only on what I’ve experienced and not because I have some obligations to do it. – On stage, David is using the Melody for his Strats, lap steels and other electric guitars, while in a studio setting he prefers the Lyric HG. – Lyric HG for acoustic guitars. – Lyric HG between Cornish pedalboard and additional effect units. – Siren speakercables between head and cabinets, and used to rewire the inside of combo amps and cabinets. I don’t really know how to describe these cables other than repeating “awesome!”, so it’s a huge treat for me to share this little Q&A with Evidence Audio founder and mastermind, Tony Farinella. – Why cables? How long have you been doing this? My attention turned to cables on a serious level in 1992. I wanted a job where I could foster my love for music and technology so I targeted a few local hi-fi manufacturers for employment. One was a cable company with a fantastic reputation for letting instruments and vocals sound more natural and realistic. It never occurred to me that cables could make a difference, so I did a little homework to see what this was all about. I did some back-and-forth comparisons between two cables I had lying around that were actually quite similar in design. After a while I was pretty convinced that I noticed a small, consistent difference. I had a friend test me to see if I could recognize the cables from each other, and I did so ten out of ten times in blind testing. C.V. sent. Once I convinced the company to bring me on board I spent the next six years in the sound room comparing every imaginable variable with regard to cable design. Materials, geometry, environment, musicâ€¦ if it could conduct electricity, or could possibly have any influence on the matter as related to sound, I spent hours each day listening and learning about it. It was a wonderful experience and revealed far greater differences than I had been initially exposed to. Since it was the focus of so much of my time and study for many years, I guess I became proficient at it. I realized my experience could be used as a â€œcompetitive advantageâ€ in a different market where all of the products available were like the first two cables I compared at home â€“ not very different. That field was the MI and Studio market. There are some very different needs in the MI and Studio market, but â€œanalog audioâ€ is â€œanalog audioâ€, and if you want to keep from destroying its musical qualities a few of the same principles apply. – How did you come in contact with David Gilmour? Phil Taylor rang my phone a few days before Christmas in 2004. Phil has invested the â€œear timeâ€ as well — comparing anything and everything that a signal will pass through in order to “keep it real”. He was after a small diameter cable for use in a pedal-board project. I didnâ€™t have anything size-appropriate but sent a few samples of what I did have for evaluation. Guitar and speaker leads. Their sonic merits seemed very much appreciated and Phil asked me to build enough for the recording of On an Island. Then quite a few for the Live 8 show. – Being the main provider of Davidâ€™s cables during the recent tour, did you encounter some challenges? No. I wish I had some dramatic or entertaining story about overcoming challenges, but it all went very well. Everyone involved is organized, thoughtful, prepared. Theyâ€™ve done this a thousand times and only the courier left us with a few worries. – What makes a good cable and what damage can bad cables do to your sound? Wow. I could relate 14 years of listening experience to you and consume 100 gig of your web server on that one. A headline never tells the real story. With that risk in mind: A good cable gets out of the way of the music and passes it from Point A to Point B without changing it. I find the best way to do that is often with simplicity and purity. Less is more. Simple designs donâ€™t cause much change to the signal. Pure materials donâ€™t either. What does a bad cable do to your sound? The worst offenders do one or some combination of the following – make the bass notes slow and sloppy, add etching or brightness at the top end, blur midrange detail so you canâ€™t hear the notes making up a chord, collapse dimension from 3D to 2D, take away the â€œfeelâ€ between your hands and the air coming off a speaker. Iâ€™ll stop there. Listen really. There lies the true answer. – Whatâ€™s the difference between the Lyric, Lyric HG and the Melody. Any suggestions where to put them in the chain? Iâ€™ve always had this notion that there must be an absolute reference with regard to how a cable performs sonically. That reference is perfection. Perfection is passing a signal without changing it. Perfection can not be achieved, so the goal of a designer is to come as close to possible and be deliberate in his errors. Regarding the Melody, Lyric and Lyric HG: each one is the best I can make at that price point. Each costs a bit less to produce that the one above it as Iâ€™ve made compromises in the design. My job is to make compromises which still result in a friendly, musical cable for the price. I think the Melody is solving some serious problems with typical cable designs and is step forward towards hearing what your fingers and strings are doing. The Lyric is more faithful with better dynamic/transient response and is more dimensional. The Lyric HG is a step above that. – Whatâ€™s the importance of using good patch cables between effect units? It is important but relative to practice, having a comfortable shirt to play in, etc. you shouldnâ€™t drive yourself crazy over them. Just upgrade them as time and budget allow. The most important cables are the one coming out of the guitar and the speaker cable (if you use one). But basically every cable in your signal path adds some level of degradation to the signal. Call it â€œcumulative degradationâ€. A visual analogy would be looking through 10 panes of glass where each one had a bit of dirt and grime on it. The clarity of your vision is reduced the sum of the dirt on all the widows. Take any single pane of glass out, clean it and put it back, and your vision is better. It is best if you can clean all ten windows; but still very worthwhile if you only clean one. What youâ€™re trying to look at is the sound of all of the other gear youâ€™ve selected â€“ and more important the music you make with it. Thanks for the info Bjorn! At the moment I am using $20 (!) patch cables (each one…): KLOTZ, signature cable T.M. Stevens, to be honest, I don’t know anything about these cables, they were simply the most expensive I could find in the Music Store in Germany… by the way, very big & proffessionel store, great deals (GHS boomers are very cheap over there! ): http://www.musicstorekoeln.de …they do deliver all over Europe! This (great) interview with Tony Farinella actually made my order a pair of LHG cables! I just plugged them in: sounds really awesome :-)) I understand, it takes a couple of hours before they will sound even better! I am using a Fender combo, so I don’t need the Siren speaker cable, but I am thinking about changing all my effect-units cables. Am I crazy…? There’s something I don’t understand about the subject of cables. I mean.. 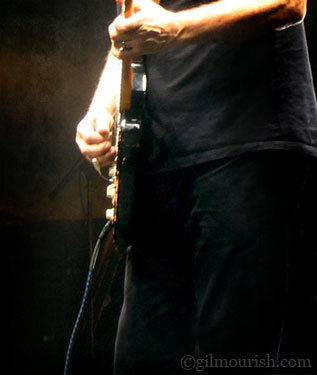 I do believe that some cables are betters than others and I do believe that that reflects in your tone.. but Gilmour uses the cable to go from his strat to his wireless device.. any particular improvement that the cable could do to his sound is now gone. The wireless device (no matter how good) would have its own “voice” afecting the tone now or not? Matteo B., I have checked out your clips. Great playing ! Please, can you make an another video with your old cables and your new cables (without effects), just to see how the evidence audio cables sound ? Hey mate, the cables arrived! Jeez! They are AMAZING! The guitar is far more powerful, the sound is simply great. I can clearly heard the difference! You were right! Hey nice background man……it gives a special look to the site……well done! Excuse me guys, are you talking about 75.000/100.000 what? on “aage.dk” they have the new clapton strat,, it cost 159.000,-!!!!!!!! Do you think the gilmour strat will be that expensive…?? or is there something really special with this clapton guitar ?? Hey guys, you better stop with this because my quality expectance for those cables is arising a lot! If I’ll get disappointed, I’ll sue you! :-) Just kidding of course, I can’t wait for those! By the way, Bjorn if you had to buy the first amp for your guitar, what amp would you buy? man youre a sick motherfucka , i visit your page all the time, school, work, all the time. have you ever tried Venom cables? I use them and they sound great (to me) but whats your opionio? Thank you for this great cable! With the Lyric HG, there’s a new instrument in my hand. I can’t stop playing. I never thought something like this could be. It’s a never known dynamic, wich makes me so enthusiastic. Thanks to Bjorn Riis and congratulations for the best guitar-site in the web! What do you think I did in the last half an hour? 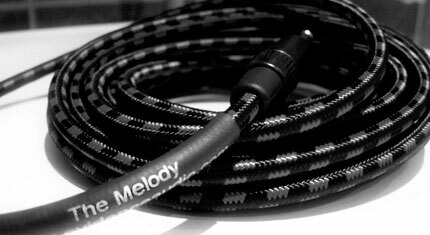 I’ve bought a couple of The Melody cables for my blackie. You are my guiding light man! How is your strap? Mine is great but I’m thinking to add one more button. It’s a little bit short. Have you seen me on Youtube? Check out my Comfortably Numb solos. Search for matboss72! ItÂ´d be awesome if there were a dealer in Argentina hehe…. Thanks man. Great contribution to the music.